Based in Hanoi, Vietnam. Sapa Adventure is one of Vietnam's fastest growing tour operators. Sapa Adventure is managed by two like-minded people with an excess of ten years of direct experience in the country. At Sapa Adventure, we are proud to stake our claim as true specialists. 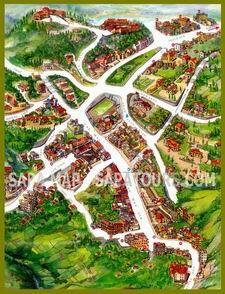 Sapa travel is what we do. We are specializing in private adventures and tailor-made tours for couples, families and groups, those looking for a valuable and memorable visit to Sapa in Vietnam. Our base in Vietnam allows us to offer the best combination of value, experience and timely on the ground support to our travellers. Sapa Adventure directors are constantly exploring new opportunities and ways to improve your visit to Vietnam. We guarantee brochure price and inclusions, no hidden extras including seasonal and exchange rate fluctuations. Our expert staff are on hand to ensure standards are met and provide support when you are in country. Our tours take into consideration children's eating habits and parents will help decide the meals of the day. Our website site www.sapaadventure.com provides information about Sapa and how to visit this wonderful area, includes photos gallery of landscapes and hill tribe people living in Sapa and surrounding areas. The site also gives the details itineraries of tailor-made and group tours and adventures for visitors who are looking forward to exploring the area. The tours and adventures including visit the markets, mountain villages with variety of activities such as biking and trekking. We hope you feel happy when spending your time in visiting our website. We also hope our information is interesting and useful enough and it might help you to built up or plan a trip or side trip to visit this wonderful destination of Sapa in Vietnam. If you have any inquiries, questions or advise, please contact us. One of our expert staffs or operators team will respond to you within 24 hours.